(NaturalNews) Imagine living in a country where having the freedom to cultivate your own land, tax-free and without government interference, is not only common but also encouraged for the purpose of promoting individual sovereignty and strong, healthy communities. Now imagine that in this same country, nearly all of your neighbors also cultivate their own land as part of a vast network of decentralized, self-sustaining, independent “eco-villages” that produce more than enough food to feed the entire country. You might be thinking this sounds like some kind of utopian interpretation of historical America, but the country actually being described here is modern-day Russia. It turns out that Russia’s current agricultural model is one that thrives as a result of the millions of small-scale, family-owned and -operated, organically-cultivated farmsthat together produce the vast majority of the food consumed throughout the country. Do Russians have more food freedom, independence than Americans? 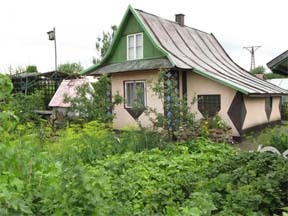 According to The Bovine, Russia’s Private Garden Plot Act, which was signed into law back in 2003, entitles every Russian citizen to a private plot of land, free of charge, ranging in size from 2.2 acres to 6.8 acres. 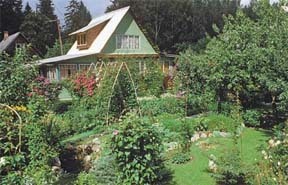 Each plot can be used for growing food, or for simply vacationing or relaxing, and the government has agreed not to tax this land. And the result of this effort has been phenomenal, as Russian families collectively grow practically all the food they need. Back in 1999, it was estimated that 35 million small family plots throughout Russia, operated by 105 million people, or 71 percent of the Russian population, were producing about 50 percent of the nation’s milk supply, 60 percent of its meat supply, 87 percent of its berry and fruit supply, 77 percent of its vegetable supply, and an astounding 92 percent of its potato supply. 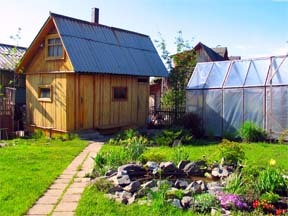 The average Russian citizen, in other words, is fully empowered under this model to grow his own food, and meet the needs of his family and local community.